Tags: 2 Tone, Bright Red, Double Layer, Front Open, Gown, Lehenga, Peach. Two tone peach and red front open double layer gown features magnificent and lovely embellishments crafted all-over the front and back. Full length sheer sleeves. 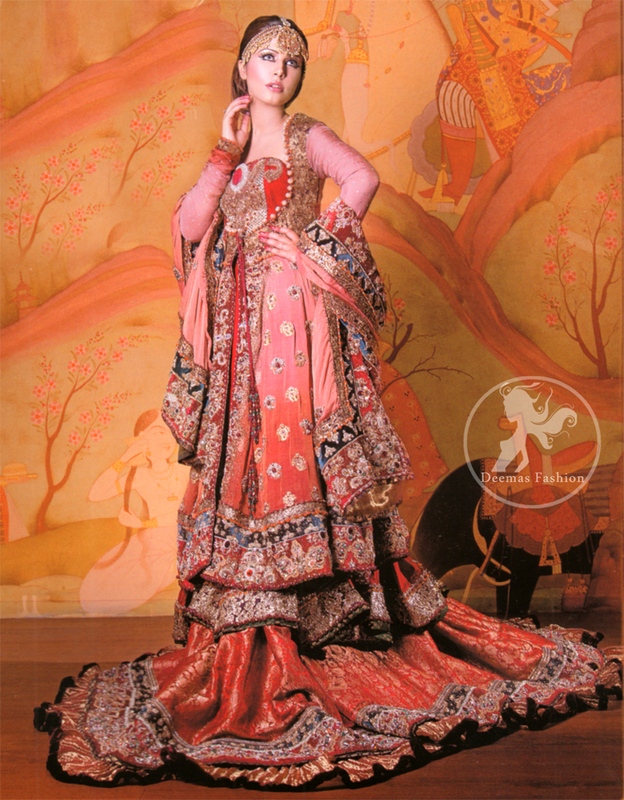 Banarsi jamawar lare flaired lehenga. Dupatta having four sided embellished border.